Businesses today are turning to mobile apps to expand their strategies to tap a higher customer base. With over 86.8% share, Android OS dominates the mobile app development market. Leveraging the benefits of Android application development is, therefore, a necessity for organizations. It is expected to surge even further in the coming years. Android app development offers tremendous strategic and operational benefits. Therefore, regardless of their size, businesses are leveraging android app development to grow their business and improve their revenues. Through this blog, we aim to highlight the advantages of Android development and how these apps can accelerate your business growth. Why Is Android Application Development Your Best Option? Every entrepreneur needs to compete with creativity to capture the attention of more potential customers. It is because the ultimate goal of any business is to generate revenue. Further, the evolution of the Android development platform offers entrepreneurs with a cost-effective and scalable opportunity to develop apps. Android mobile applications have influenced most of the industries as part of the digital revolution today. Even though iOS is a popular platform, listed below are some of the reasons why android development is by far the best and a leading platform for businesses. One of the key advantages of Android app development is the easy availability of the Android SDK. The development teams can use the material design from these SDKs to build interactive apps. However, the developers/development teams are required to pay a one-time registration fee for application distribution. After that, they can leverage any computer device to build and test the product for their smartphones, ensuring low investment and increased user engagement. In turn, the end users, are benefited by an interactive app, and the enterprise gains a higher return on investment. Android apps for business have a rapid development cycle lasting a few hours. It offers a competitive edge to companies who wish to have a quicker go-to-market for their new idea. Reduced Time to Market (TTM) is, thus, one of the best benefits of Android development. The use of Java as a programming language makes it easy to port the app to multiple operating systems like Symbian and Ubuntu. Thus, businesses can target multiple platforms with Android app development. It is one of the many reasons why businesses choose Android development. Learn the essentials of porting iOS apps to Android. And, how it helps companies to take advantage of the time and resources based on the interest of different target group. Google also made Kotlin an official language (or a Java alternative) for Android development. Kotlin Multiplatform can be used to power applications that run on iOS, Android and Java Desktop. Leading technology companies like Pivotal, Atlassian, and giants like Pinterest, Uber, and Evernote are also using Kotlin for their Android solutions. With the arrival of Android Studio, the OS has scaled up on flexibility and adaptability. It integrates with the entire Android ecosystem including smartphones, tablets, wearables, and Android TV. It makes Android Apps compatible with emerging technologies like IoT, AR, and VR. Therefore, it is also one of the significant android app benefits. Further, the versatility of the Android app platform allows development teams to build dynamic mobile applications that serve multiple purposes after being installed on the device. Android P introduced several additional and in-built security features. It will help with the protection against malware and viruses. Thus, safety and reliability are exceptional benefits of android application development. Read on about the Android best practices for security & privacy that helps organizations to define the right approach throughout the application lifecycle. Android is an open source platform and offers maximum customization features to development teams. It is why android applications are a popular choice. Further, the OS enables the creation of versatile Android apps that can be easily integrated into multimedia tools and data management functions of your existing business processes. Thus, businesses can benefit from reaching to a broader customer base by accommodating the changing business requirements. To conclude, with over 75% Android device users today, developing an app on this platform is a value proposition for organizations globally. It helps them address a higher range of audience and gain immense popularity. The numerous Android development advantages also offer business-friendly features for an added boost in market penetration. 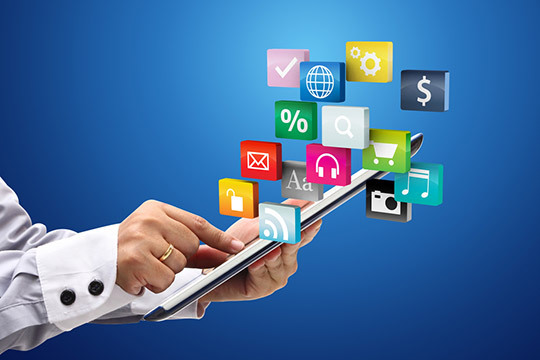 As an experienced mobile app development company, Rishabh Software can help you build innovative and robust business apps that are future-ready.